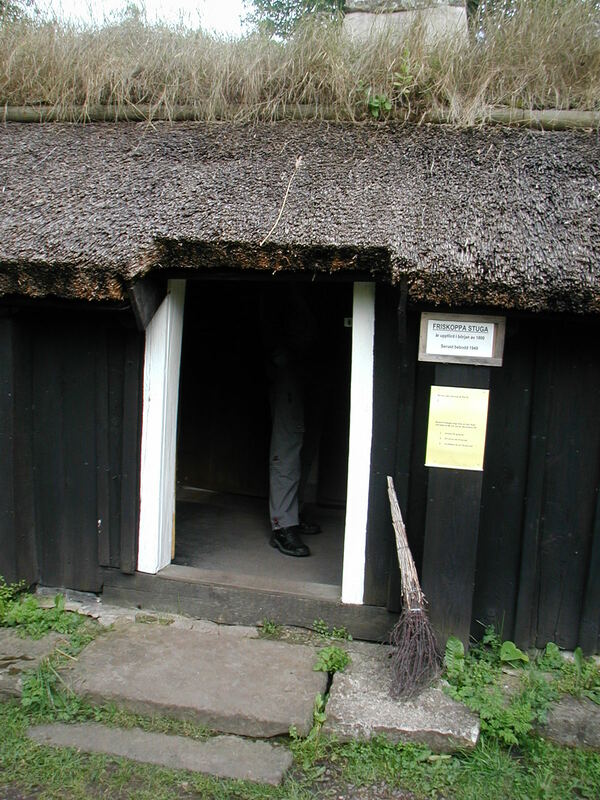 I promised to show you how small the houses of Broby regional museum were. Here you can see a glimpse of my son´s legs. And another modest living room. 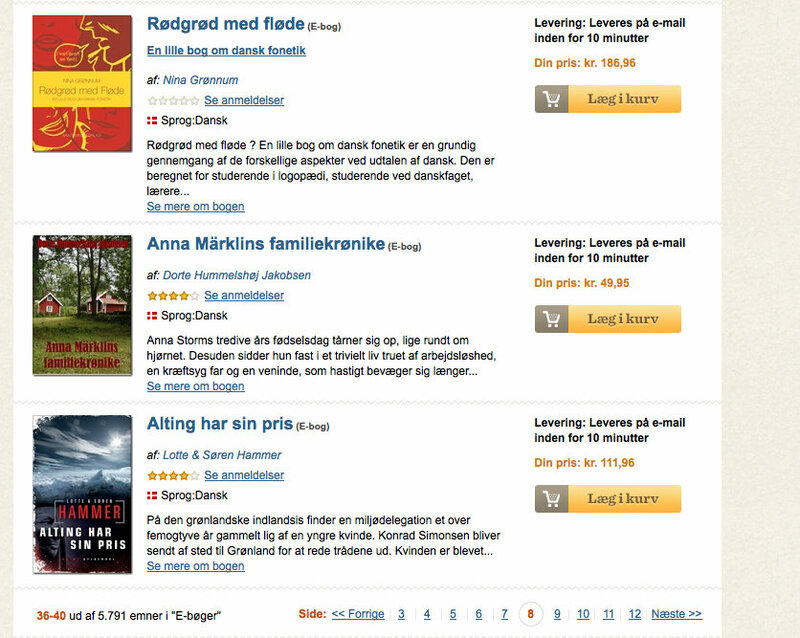 Not Sweden, but a bestseller list which nearly gave me a heart attack yesterday: “Anna Märklin”, my Danish debut, is # 39 on the ebook list – in the company of Lotte and Søren Hammer´s latest thriller. I am a Danish teacher. In my spare time I read, write and review crime fiction. 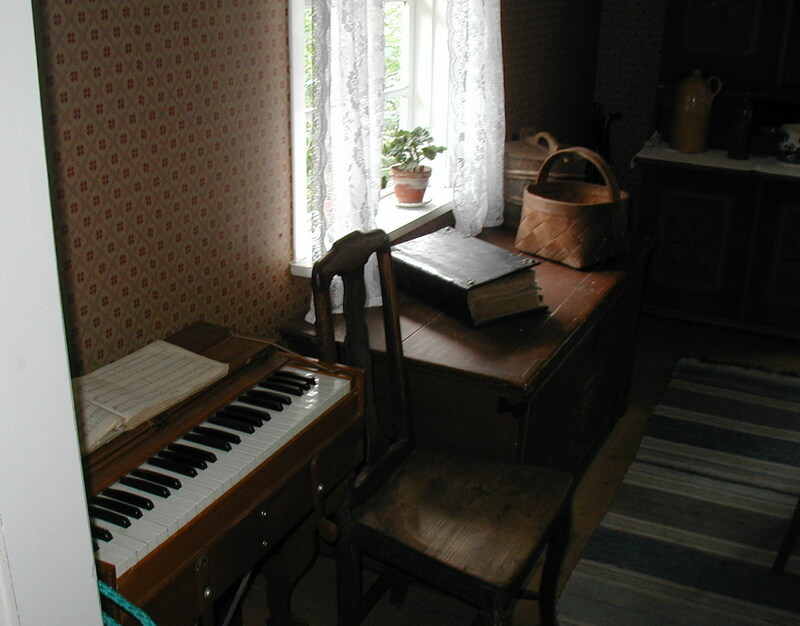 This entry was posted in Anna Märklin, Sweden´s Day. Bookmark the permalink. Dorte – First, congratulations! I am really happy for you! 🙂 And thanks for the ‘photos. It is hard to believe how small those houses are. I love the warm feel of the furniture in that living room. It looks homey to me. Thank you, Margot. It was a complete surprise – I would never have checked the bestseller list if “Saxo Selvudgiver” had not pointed out my debut was on it. Glad tohear you are on the bestseller list! I bet that readers in Scandinavians find the British quaint but cute! Well done on another great achievement. My goodness! I had no idea the house was THAT tiny! Congratulations on your ebook ranking! That’s fantastic! And thanks for sharing these lovely pictures. 🙂 I always enjoy my road trips with you! Harvee: well, this novel is Scandinavian, and I don´t quite know what they think about it yet. I have received one (excellent) review plus praise from a reader friend. Kelly: thank you. Well, the picture (or perspective) cheats a bit, but they are not for modern people. Elizabeth: thank you. It is not only fantastic, but totally incredible. And that place is a weeny thing and warmly cute. I think the house would be just my size. I’m super short. Congrats on your book sales! Wow — Congratulations!! Loved the photos too. Fantastic photos; love that little cottage. I’m trying to imagine myshort self there, too. And Congratulations on your achievement on the best-seller list! Quite an achievement. Always love to see these kind of photos, a glimpse into our former lives and past. Thanks so much for sharing them. Scandinavia does not seem so far away when I look at these photos! And congratulations on the bestseller list. I will have to check out your title when I get my kindle!! Is it available in English Dorthe?